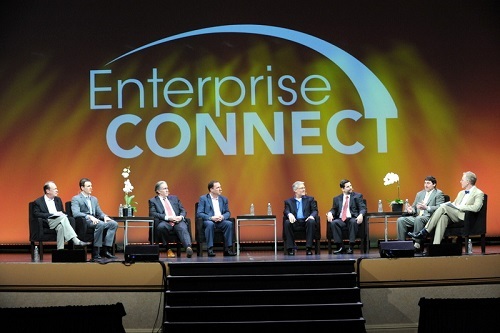 Enterprise Connect is the premier industry event focused on serving the communications and collaboration community. Brief Overview: Drive your migration to next-gen communications and collaboration at Enterprise Connect 2014, March 17-20 in Orlando. The conference program covers the full range of platforms, services and applications that comprise modern communications and collaboration systems. Enterprise Connect provides the leading market and thought leaders, comprehensive analysis, in-depth technical sessions and the largest and broadest exhibition. Everything at the event is focused on one over-riding goal: To help you make the best decisions possible about migrating, designing and implementing the right communications and collaboration products, services, software and architecture for your enterprise. Meet with thought leaders and market movers: From the keynote lineup to our workshops, deep-dives and breakout sessions, you’ll hear from the leaders of all the major equipment, software and services providers as well as pioneering enterprise executives. Assess the impact on your organization: The in-depth sessions at Enterprise Connect go beyond technical discussions, to include analysis of how the new technology changes business and organizational relationships. Enterprise Connect Exhibition is the ONLY place offering 140+ major system and software vendors and their products are available in one location.